Metabolically, we are hunters and gatherers, with approximately 700 working muscles functioning in sync to move just over 200 bones on your frame. Your body was engineered to be an action machine. It is meant to jump, run, twist, push and pull. And this is why it is crucial that we move it in order to stay in top shape. In-fact, doctors have admitted that they know of no invented drug that can create the same health benefits than regular exercise can – without it, your body literally begins to shut down and your organs fail to function properly. But the reality is that very of us are exercising, and this is a massive contributing factor to why two thirds of our nation is overweight or obese. 1.Incidental Exercise: is anything that you do on a day to day basis that’s generally part of your life. This may include things like cleaning, walking to work and gardening. The less incidental exercise that you do, the more structured exercise you should be doing to compensate. Incidental activity alone is never usually enough to maintain peak fitness unless you are a lumberjack, so it is always advisable to incorporate regular structured exercise into your weekly routine. *Aerobic: Look at this is as endurance training for your heart. Its purpose is to increase your cardiovascular fitness, meaning you can do more work with feeling less puffed. Some examples include brisk walking or jogging, swimming, rowing and cycling. In general you should be performing at least 20 minutes or more of aerobic activity most days of the week. *Strength: This is any weight-bearing activity where you overload your muscles to increase in strength and often size. The most important thing about strength training is that it prevents the natural loss of muscle mass as you age. The result being that you turn your body into a raging inferno, meaning you increase your metabolism so that you burn more calories than you normally would and even whilst you’re asleep. Core stability is also a very important component of strength training and this means being able to maintain proper alignment during life activities. With a strong core you build the foundation for a strong, fit and lean body. One of the most simple and best forms of strength training is body weight training — including functional exercises such as squats, push-ups, planking, lunges, chin-ups and dips. Strength training should be done two to three times per week for about 30 minutes and on non-consecutive days for adequate recovery between sessions. *Flexibility: This includes stretching your muscles and joints, to allow you to stretch through a greater range of motion. This is important to for increased blood flow and tone in your muscles, better sleep, better posture, less aches and pains and less chance of having an injury. Flexibility is improved through regular stretching or by doing activities like yoga and dance which I strongly encourage. Aim to do a stretch at least five minutes each day, if not longer on most days of the week. In combination, all 3 forms of exercise offer numerous benefits including a faster metabolism, less inflammation, better adherence to other positive lifestyle behaviours like clean eating, improved organ function and so much more. All of this translates to not only a thinner you, but also the prevention of conditions such as cardiovascular disease, type II diabetes, insulin resistance, cancer, depression and lower back pain. Exercise also reduces the effects of ageing and assists you to look and feel your best. It’s also great for social interaction as well as being an effective stress-management practice. Just a few minutes each day can release enough endorphins to instantly make you feel better. *The best exercise is the one you love and will stick with. *Choose an exercise which you have easy access too (geographic location and cost are often overlooked). *Vary your routine to maintain interest and keep your muscles guessing. E.g. a run around the block this week, and then go for a ride next week at the same time. This/cross training also helps you to minimize your chance of injury. *If you sit at work, ensure to only sit for 20minutes at a time, then stand for 8minutes then stretch for 2minutes. *Exercise outdoors as often as possible – there are many great benefits of doing so. *Exercise in the morning and get it out of the way. *Taking action will inspire action – it’s hard at the start but it will get easier. *Aim to get fit/strong, not to lose weight. Weight loss and other benefits come naturally when you do so. *Set some goals. E.g. 30 push-ups, 60sec plank, 10 chin-ups, 60sec wall sit, 5klm Run in under 30 minutes, etc. 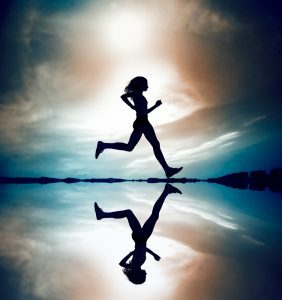 *Avoid exercising if you are exhausted – this can lead to adrenal fatigue. Instead spend that time sleeping. *Listen to your body – it knows best. If your back pain goes, if you feel more energy, if you move better, then great. *Don’t let injuries become an excuse. E.g. if you have an injured shoulder then work your legs/abs – don’t give up. *If you have any injuries – past or present, then ensure to seek assistance from a professional who can help. *Seek the advice of a fitness professional – this information in this post is general advice only. *Always get your doctor’s approval before starting any exercise program. *If all of this sounds like too much then just focus on moving more. If your struggling to find the time, then aim to do 2-3, 5-10 minute workouts per week – it’s better than not exercising at all! So tell me, what is your favourite and least favourite type of exercise and why? Fabulous session Rob. You are amazing! Thanks Liz… Your amazing! I hope you and the fam are all training hard! !